The Lucy Pittaway business was formed in May 2015 and by 2017 the business won ‘Best New Art Business’ at the Fine Art Trade Guild Awards, and employs a truly fantastic team of people at the Yorkshire HQ. 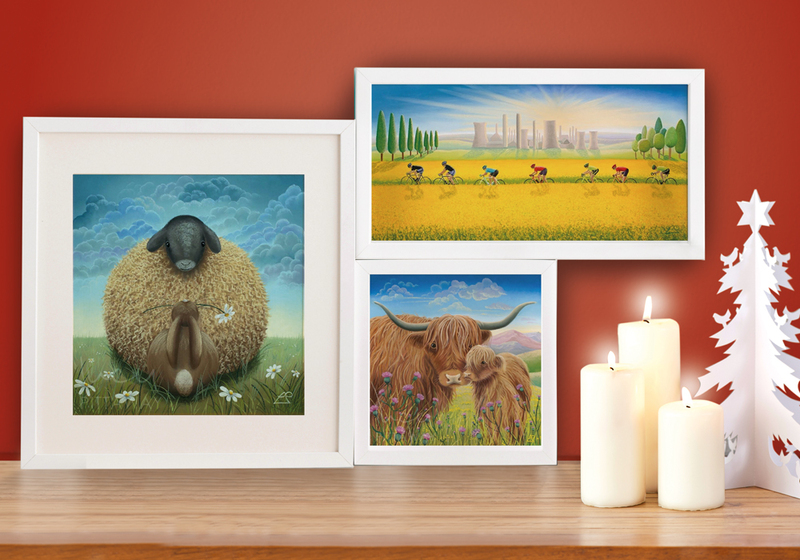 Lucy’s artistic talent has also been recognised by the Fine Art Trade Guild, naming her the ‘UK’s Best Up and Coming Artist Of The Year’ in 2016, followed by the accolade of the ‘UK’s Most Popular Selling Published Artist’ award in 2018 driven by the immense popularity of Lucy’s artwork through the two Yorkshire based Lucy Pittaway Art Galleries and the Lucy Pittaway website. Lucy has created the official artwork for Yorkshire’s iconic ‘Tour de Yorkshire’ event for three years running. The Lucy Pittaway business approached Guerilla to help create and develop a campaign strategy for their winter and Christmas campaign. 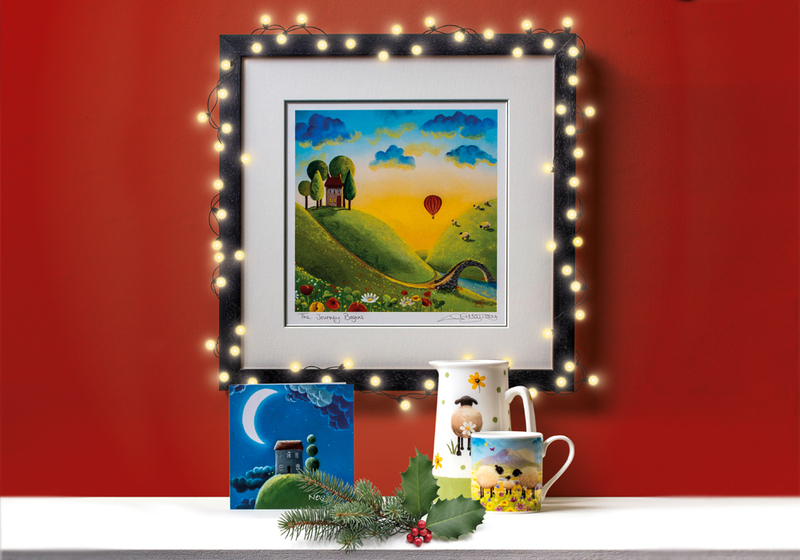 Steve, the director responsible for media strategy needed help in designing a creative strategy that would communicate the wide range of artworks, homeware, greetings cards, and stationery. The campaign also had to communicate and position the brand consistently across the wide range of digital and traditional media. We felt that it captures the way people interact with Lucy’s art simply and accurately. Although our commission was not strictly a brand positioning exercise – we began by discussing the Lucy Pittaway brand personality – and how our campaign should be pitched tonally. We’d describe the brand as warm, witty, playful, family focused, inclusive and accessible. In short, it’s fun – it makes people smile. As well as making people smile, Lucy’s cheerful artworks aim to ‘brighten any room’, so we developed a colour palette that we think accurately represents the colours in the artwork and also compliments them. The palette is bright, crisp and cheerful, which is how we want our audience to feel. We also recommended splitting up the photography into two categories – hero images and individual item images. Here we can see a few initial concept treatments of our proposed hero style – they are simple, bright and contemporary – allowing our products to take centre stage. Our solution involved combining an elegantly simple and endlessly versatile grid system featuring hero images and individual item shots can be combined within. Messaging is confident but understated and the brand marquee is used in a playful way – coloured to compliment both the main image and general composition of the piece. This modular system can comfortably feature multiple products, without appearing cluttered, in a clear hierarchy. The modular advent calendar concept translated very effectively onto digital platforms. Individual images can be easily changed as well as the doors opening to reveal informative messages. Clicking on an individual image could also provide a quick link through to the ‘buy’ page for that product. 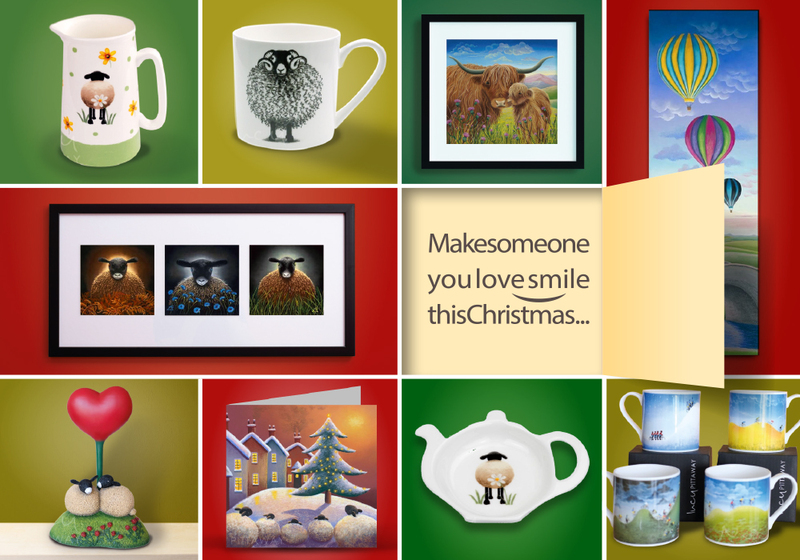 The campaign has recently been launched with online banner adverts and we hope it will show case Lucy’s fantastic art creations and drive sales through to the New Year.